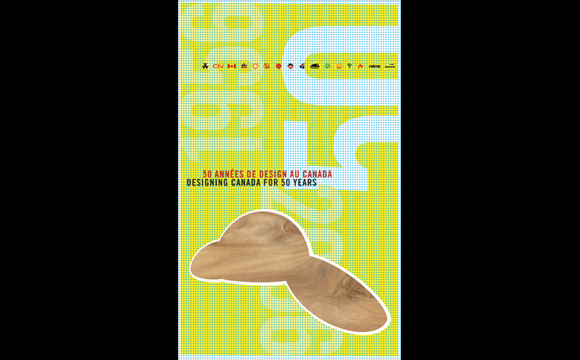 The pervasiveness of the creativity of Canadian graphic designers is readily apparent when you have 50 years of it to look back upon. For over half a century, we have been creating the look of Canadian culture and commerce—images, marks, posters and graphics that have been seen or touched by every Canadian alive today. From the logos on our skates and schoolbooks, to posters at our fairs and sporting events. The best designs stand the test of time—from Allan Fleming’s ground-breaking CN logo introduced in 1959 to Burton Kramer’s 1974 CBC logo (only recently has its wings been clipped); or Stuart Ash’s metric logo which graced every child’s schoolbooks in the 1970s to the modern Bauer B which appears on the equipment of every aspiring NHLer. Perhaps in 50 years I’ll know if any of my own work has had similar impact. But for this anniversary, a simplified shape of a beaver is the link between a slab of wood (one of the building blocks of our nation) with the dots of ink and pixels—technology that brings our creativity to life. 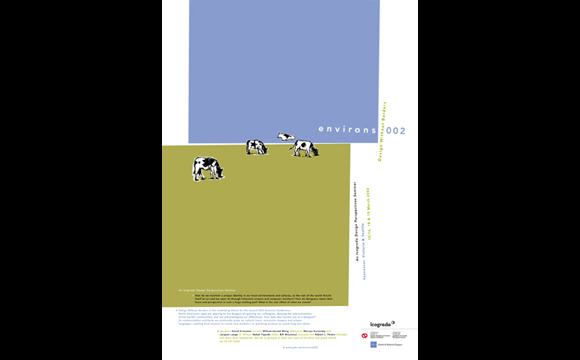 In the spring of 2002 the GDC hosted an Icograda Regional Meeting in Vancouver and co-organized the adjoining conference entitled Environs. This was an international event which encouraged discussion regarding designers as contributors to culture, and the influences of internationalism, media and the web on our profession. Do we lead and facilitate communication, or are we merely following the wandering path of trends and technology. 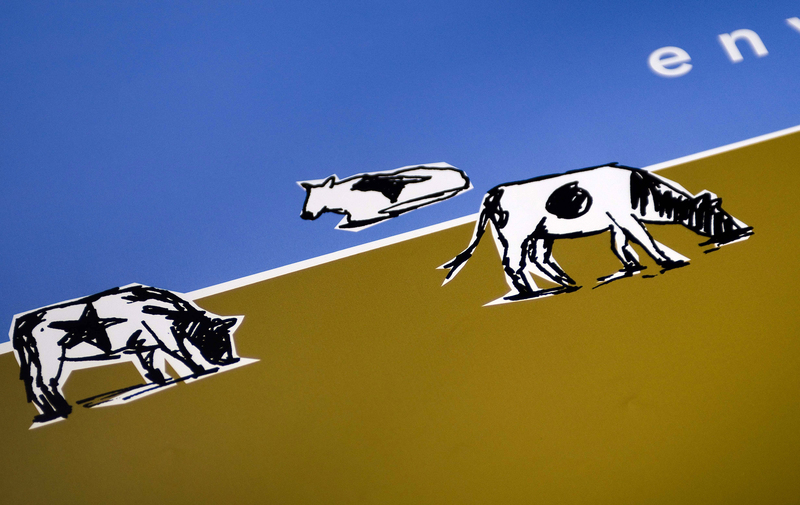 The analogy with cattle was inevitable. This is a poster for a speaker on classical bookbinding, hand coloured end papers and other antiquarian book techniques. 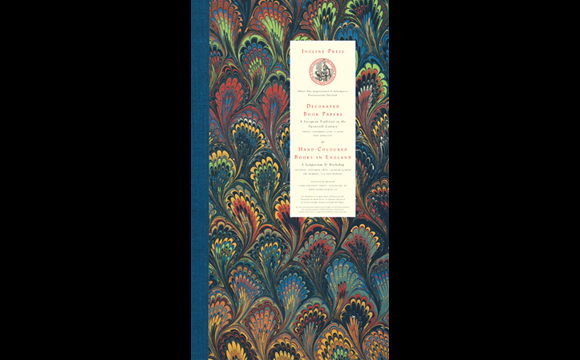 The patterns of some of the end papers were the perfect subject for the imagery, along with a type treatment that echoed the style of book titling familiar to this genre. The event was co-produced by the GDC/BC, the Alcuin Society and the Vancouver Museum. From April 26-30, 2010 Vancouver played host to the design world through Icograda Design Week and the Design Currency conference. Defining the value of design was the goal of the conference and the theme built upon the identity which was developed by Rethink. 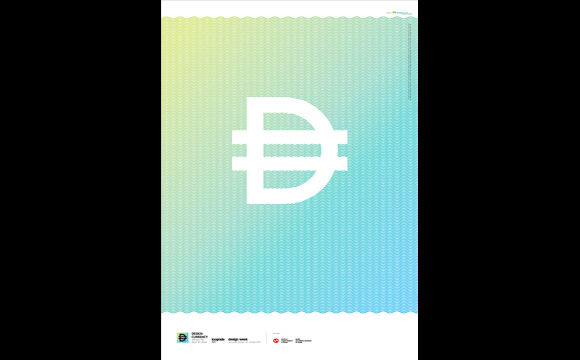 The GDC was proud to partner with Icograda and a local team to put on the various events, and this poster was displayed at the GDC AGM and the Icograda Regional Meeting.